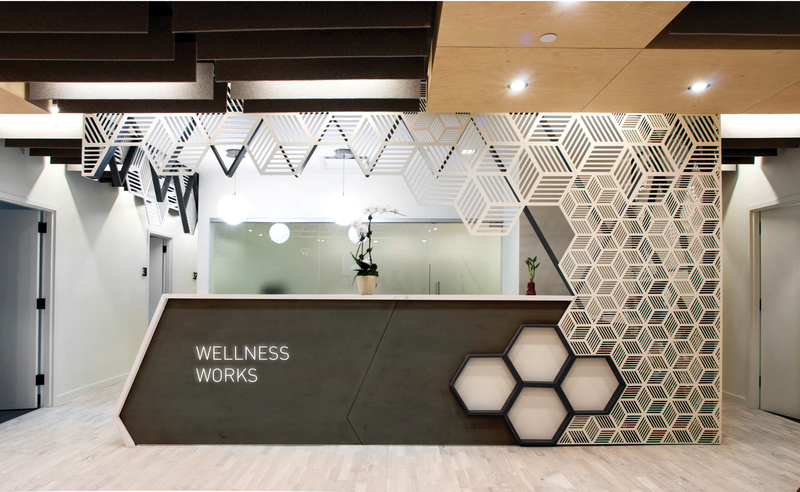 Wellness Works, located at Trinity Center in lower Manhattan, is an 8,000 s.f. 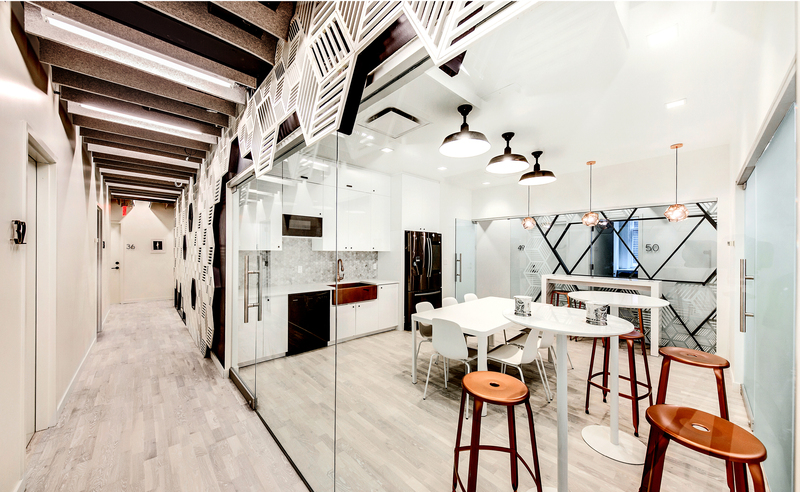 shared office space for health and wellness professionals. 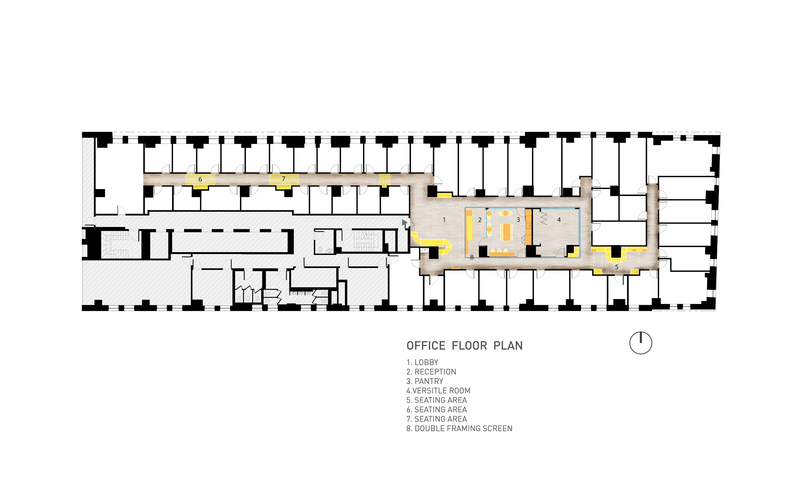 Each member will have a private office suite and access to common services and a shared reception. 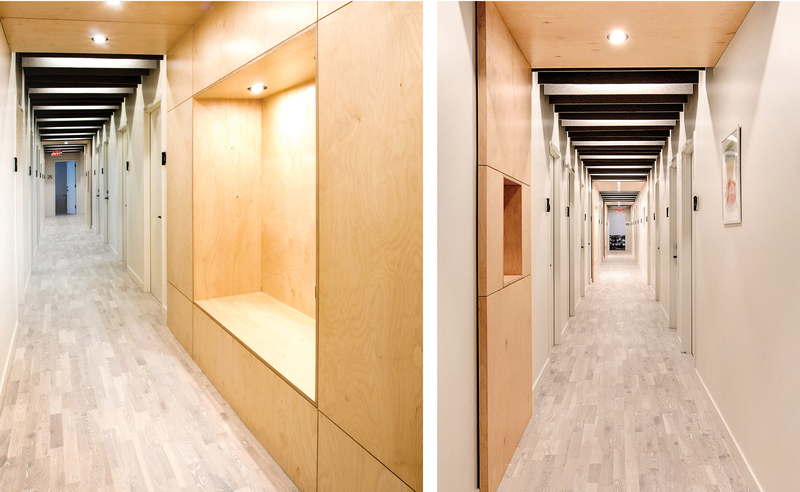 The gut renovation of the office floor created 47 individual soundproof suites. 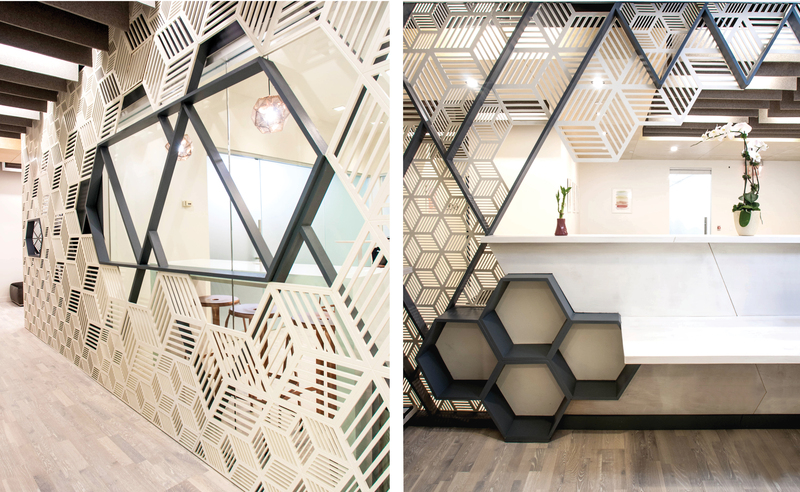 The central feature is a shared hub defined by a hexagonal patterned screened wall surface. 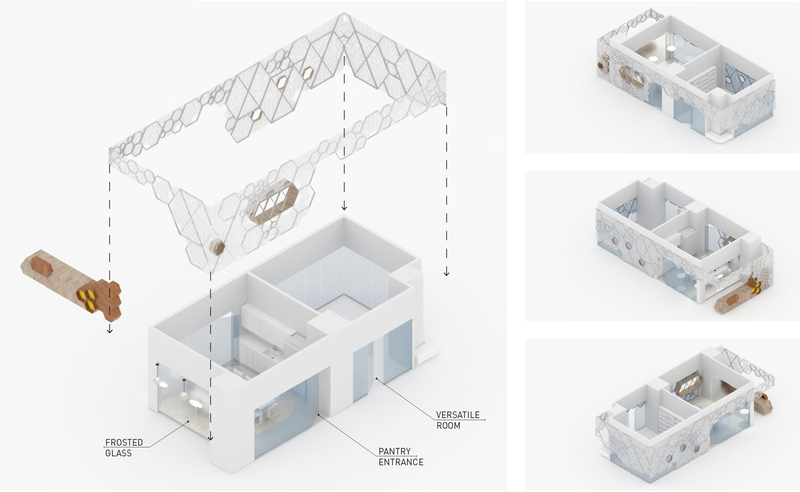 This screened volume provides a visual node at the center of the large office floor. 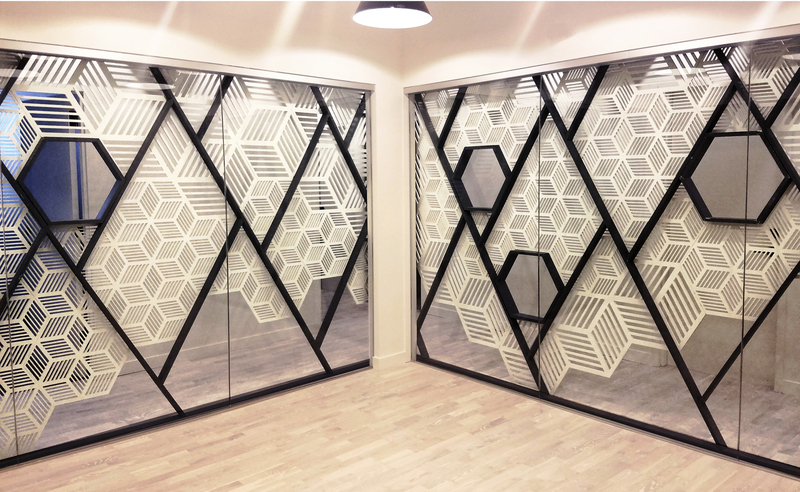 The sizes of modular components of the hexagonal screen were developed to accommodate different functional openings. 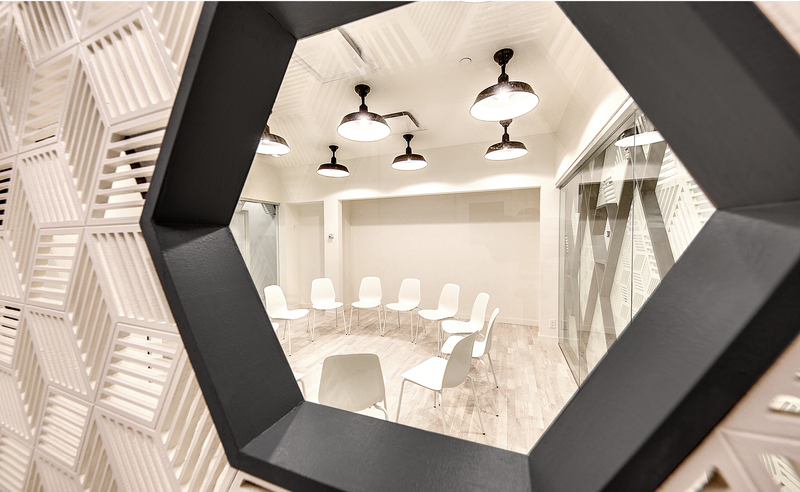 Within this screened volume sit the reception desk, a common employee lounge, and a flexible ‘versatile room’ for members to hold programs. 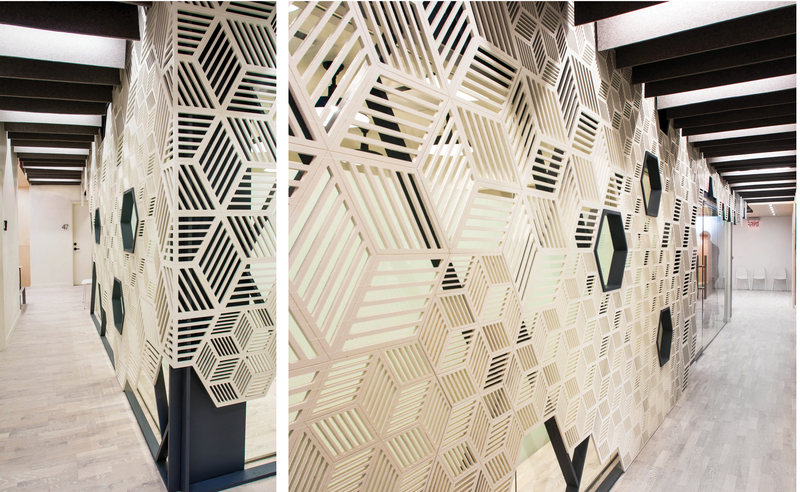 The wall surfaces were CNC milled out of MDF sheet material, and are supported by a patterned steel strut system behind. 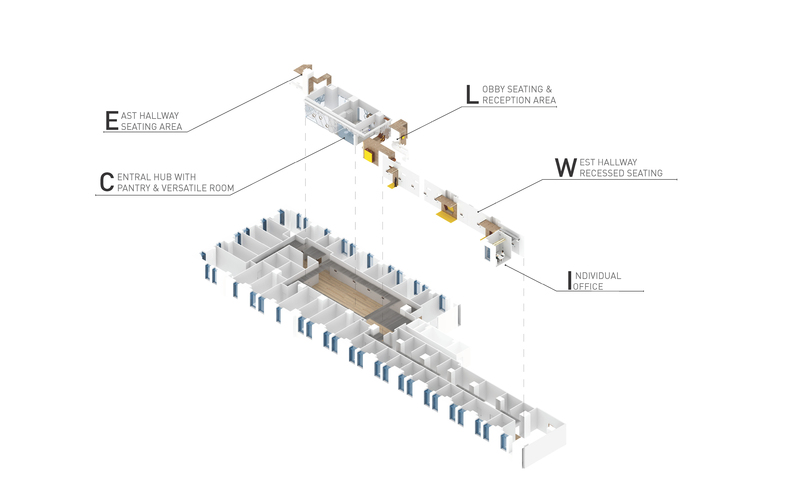 The corridors are punctuated by a series of wood-paneled niches with integrated seating. 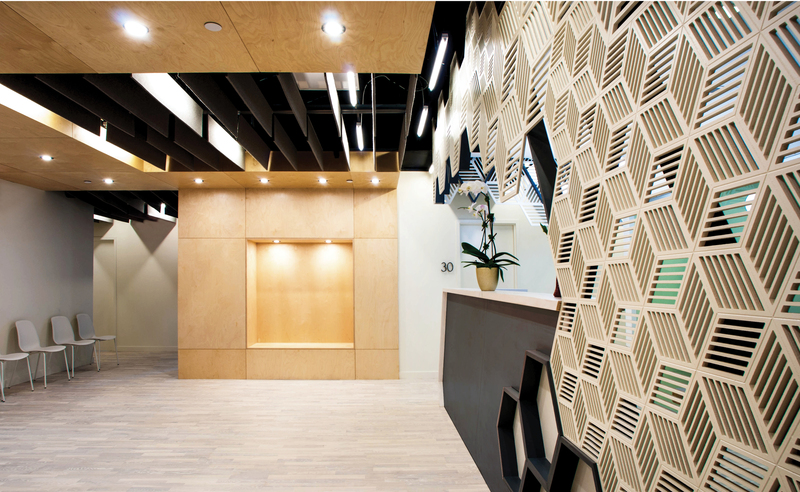 These niches provide a rhythm to the corridors and break down their long spans. 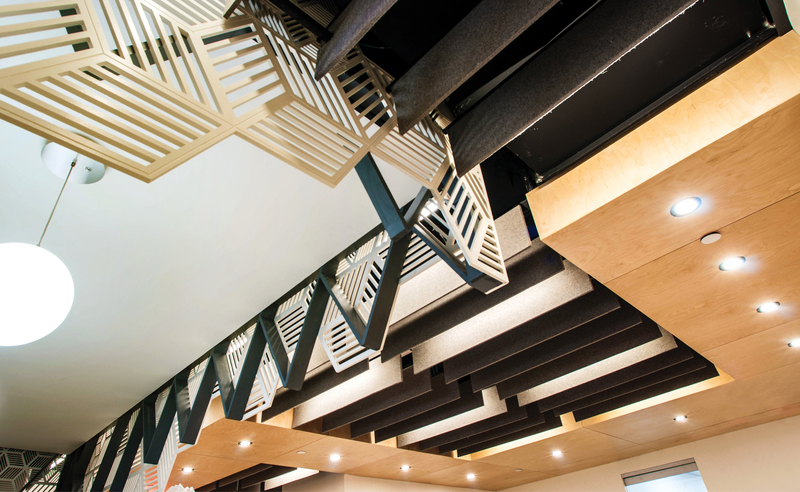 A simple open ceiling system is embellished by a series of felt baffles that define the ceiling plane and visually conceal the HVAC and sprinkler services above. Wellness Works opened in September of 2017.